Fiat is the latest car company to seek PR support, as it hunts for an agency to help boost the profile of its Jeep and Chrysler brands in the UK. Despite wide recognition that the global auto industry is facing tough times in the current economic climate, PR agencies are reporting a boom in enquiries from car firms, as they look to introduce a more economical and creative marketing approach. Nissan and Peugeot have also moved to review their PR business in the first weeks of 2012. PRWeek also understands that at least one other major car manufacturer is holding top-secret talks this week with several UK consumer agencies. Automotive specialist agency PFPR's founder and chairman Peter Frater told PRWeek that he had seen a steep increase in the number of requests from car manufacturers. 'Surprisingly, given the economic climate, we are seeing a greater interest and greater number of requests from car brands to take on projects,' said Frater, whose clients include Mini, Aston Martin and Land Rover. Frater suggested that car firms were moving away from traditional, high-profile launches and were redistributing marketing budgets into PR. 'They simply can't justify the same kind of budgets they have been used to on advertising, and they are looking increasingly to PR,' he said. Vauxhall head of comms Denis Chick said a challenging industry demanded 'exceptional value for money' and innovation. He added that in such times, it was important to push the message beyond the realms of motoring-focused media and into other sectors. 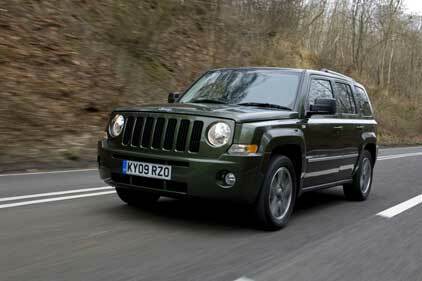 Jeep and Chrysler plan to invite up to five agencies to pitch to work on several projects on an ad hoc basis. We have seen the automotive industry taking budgets from other marketing areas and focusing it on PR. In the UK, we are seeing an increase in the number of car firms wanting to do activity outside the norm on the media side, well beyond the usual launch events. The situation is leading to an increasing reliance on specialists who understand the sector, which will benefit dedicated agencies such as us, rather than generalists struggling with big overheads and trying to understand a complex industry.